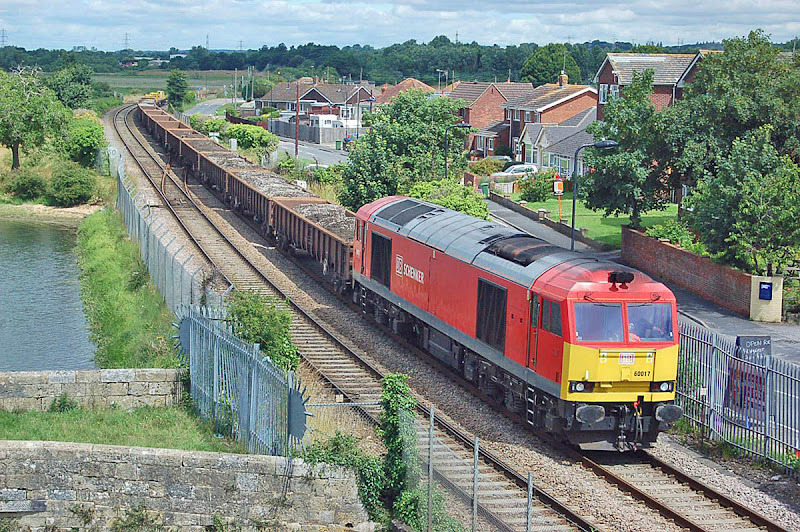 60017 approaches Redbridge with 6O41, 5th July. Image by Ian Knight. 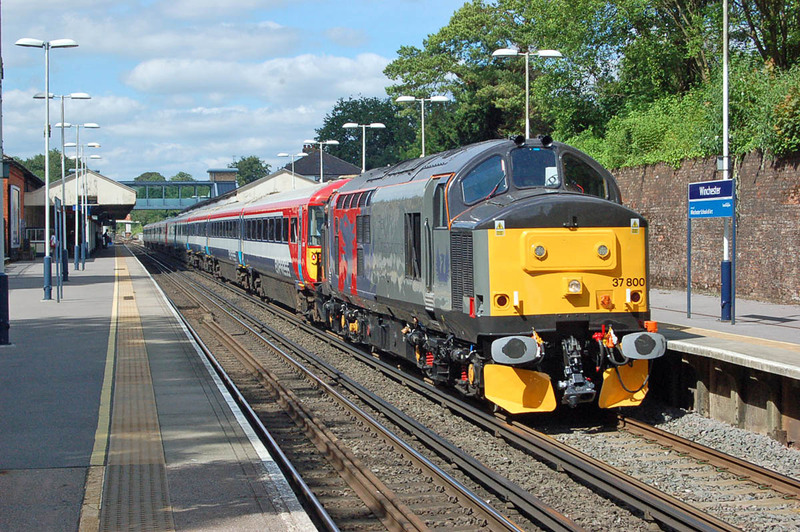 37800 with 2415 and 2418 passing Winchester and heading for storage at Eastleigh, 5th July. Image by Ian Knight. Some of these can be seen on the Fairwater Yard ballast cleaner workings, but other pool locomotives are mixed with these. Freightliner is currently merging the Intermodal and Heavy Haul divisions, where the latter has seen reductions in activity with the fall off in coal traffic.